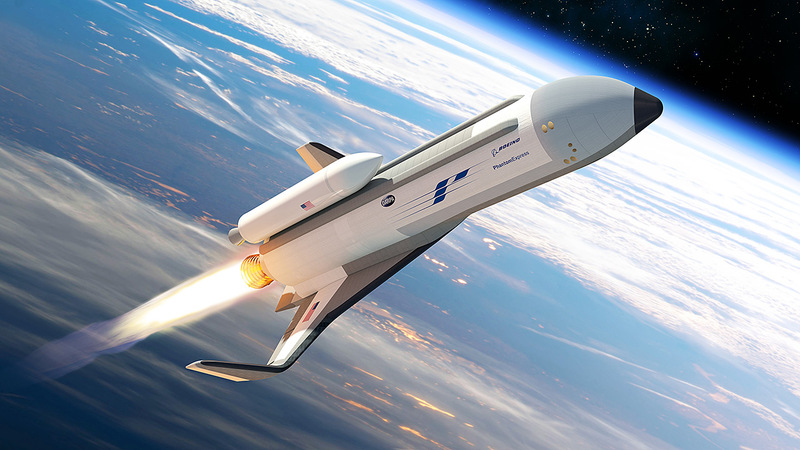 Aerojet Rocketdyne has been chosen to provide the main propulsion system for the Boeing and the U.S. Defense Advanced Research Projects Agency (DARPA) reusable Experimental Spaceplane (XS-1). Because of flight experience gained from NASA’s retired fleet of space shuttle orbiters, as well as the U.S. Air Force’s classified X-37B, Aerojet Rocketdyne is supplying two engines, designated AR-22, for the XS-1 program to “demonstrate reusability, a wide operating range[,] and rapid turnarounds” – according to a release issued by the company. If everything goes as it is currently planned, the AR-22 will undergo assembly and ground testing at NASA’s John C. Stennis Space Center in Mississippi. The XS-1‘s primary propulsion system is based on NASA’s Space Shuttle Main Engines (SSME) which ran off a mixture of liquid hydrogen and liquid oxygen. It is hoped that the spacecraft will be able to deliver small satellites to orbit. The AR-22 will be assembled from components of the rocket engine that remained from early versions of the SSME that were in both Aerojet Rocketdyne and NASA’s inventories. The SSME was manufactured by Rocketdyne before they merged with Aerojet in 2013. For vertical start with longer range XS-1 supplement/ an sides/auxilliary accelerating engines.